Caoimhin Kelleher’s assessment of his summer is reflected in the words he uses to describe the feeling of playing for Liverpool’s first team in wins against Manchester City and Manchester United. That the second of those International Champions Cup matches - a 4-1 victory over United in Michigan - took place in front of a crowd exceeding 100,000 only adds to the 19-year-old goalkeeper’s sense of wonder while he analyses his pre-season so far. “It’s been crazy, playing the Man City and Man U games. I wasn’t expecting to play really, but to get the opportunity was just unbelievable,” Kelleher told Liverpoolfc.com at the team’s training camp in Evian. “It was amazing, seeing all the crowd and stuff. I really enjoyed it. “I trained with them [the senior side] last year but to actually play this year has been crazy. It’s been unreal. 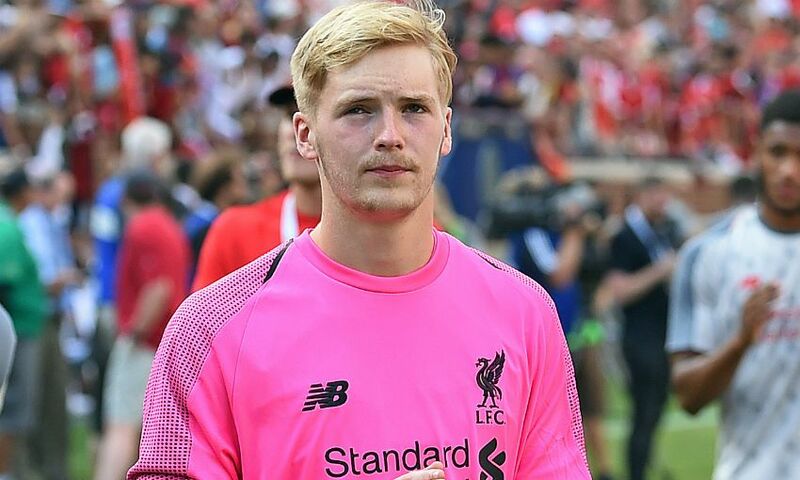 Academy stopper Kelleher also featured in the Reds’ friendly win over Blackburn Rovers at Ewood Park last month - a game that took place on the day the club signed Alisson Becker from AS Roma. Alisson joined up with his new teammates in France on Tuesday, and Kelleher is eager to take full advantage of his chance to train alongside the Brazil goalkeeper on a daily basis. “I’ve learned a lot from him already. He’s a top-class goalkeeper and a really nice guy as well which helps. I’m just trying to learn as much as I can from him really,” the teenager said. In terms of the season ahead, Kelleher is eager to build on his five Premier League 2 appearances for the U23s last term while carrying on working with the first team. The Republic of Ireland youth international continued: “I think it’s just to try to get regular game time with the U23s and keep training up at Melwood every day and improving.